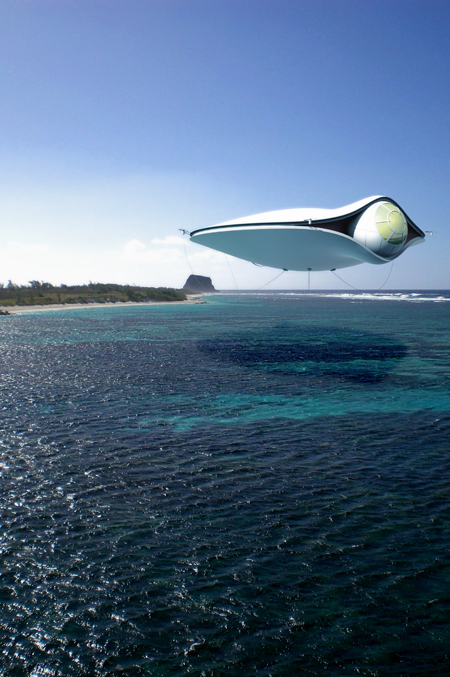 THE GS DIRIGIBLE IS DESIGNED FOR 2 PASSENGERS AND 2 CREW SERVING AS PILOT AND STAFF. THE TOTAL WEIGHT WILL BE 1000kg WITH A MAXIMUM ALTITUDE OF 9000m AND AN AVERAGE SPEED OF 130km/h. THE PROGRAM WILL INCLUDE SUITE, TOILETE, KITCHENETTE AND MINISPA. 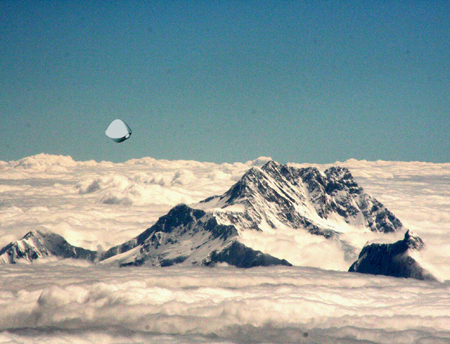 THE GS DIRIGIBLE WILL HAVE ITS CENTRAL BASE AT RONDE FROM WHERE IT WILL TRAVEL AROUND THE WORLD. 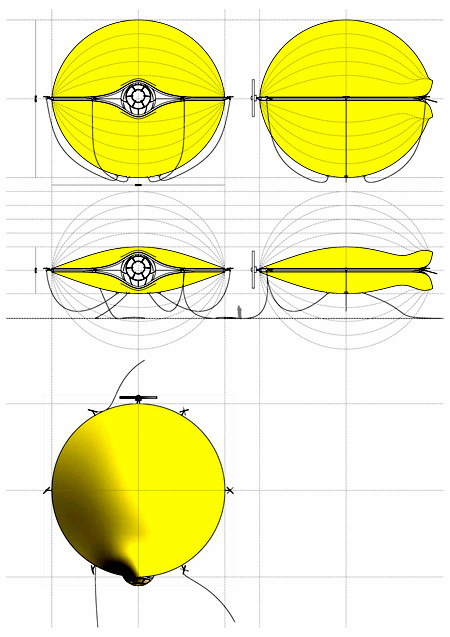 THE GONDOLE HAS TRADITIONALLY BEEN SITUATED AT THE BOTTOM OF THE ENVELOPE AND CENTERED WITH THE GRAVITY CENTER. AT THIS POINT THE VIEWS ARE STRICTLY DOWNWARDS. THE GS DIRIGIBLE WILL PLACE THE GONDOLE FOR PASSENGERS AND CREW AT THE VERY FRONT TO PROVIDE THE MOST MAGNIFICIENT VIEWS TO ALL DIRECTIONS. 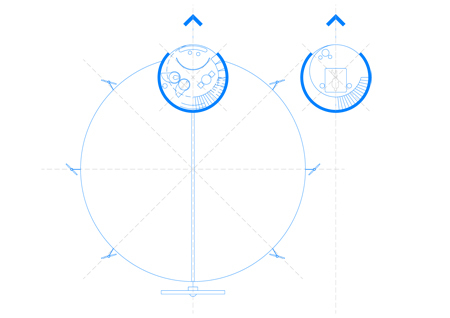 THE GS DIRIGIBLE WILL BE A SEMI-RIGID TYPE THAT WILL HAVE AN INTERNAL PERISCOPIC STRUCTURE THAT WILL BEND WHEN ELONGED IN ORDER TO INCREASE THE VOLUME OF THE ENVELOPE AND EXPAND THE HELIUM INSIDE TO ACHIEVE LIFT AT ALL ALTITUDES. 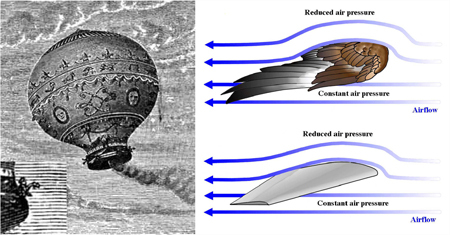 THE AIRSHIPS USE THE ARCHIMEDES PRINCIPLE AND THEY ACHIEVE THE STATIC LIFT THROUGH GAS. HOWEVER DUE TO AIR DIFFERENT DENSITIES IT IS NEEDED THAT THE GAS VOLUME INCREASES AS IT GAINS ALTITUDE. NORMALLY THIS IS ACCOMPLISHED WITH AIR BALLONETS THAT INFLATE AND DEINFLATE BY USING A PUMP. 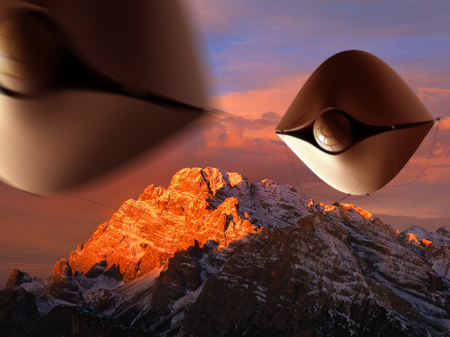 THE GS DIRIGIBLE WILL INCREASE ITS VOLUME 2.5 TIMES TO SERVE BOTH THE ISLAND AND THE HIMALAYAS HOTELS. LIGHTER than air: they use the ARCHIMEDES Principle as they are full of a gas lighter than air (Hidrogen, Helium, hot air). HEAVIER than air: they use the sustentation created in a wing by the Venturi effect and the Bernouilli theorem. The DIRIGIBLE is a lighter than air aircraft that can be steered and propelled through the air using rudders and proppellers. A propulsed balloon. + Static Lift through Gas. No need for engine power. Minimum energy consumption. High safety. - Necessary Large Size. Large drag coefficient. Reduced Speed. Access to Remote Locations, Tourism. 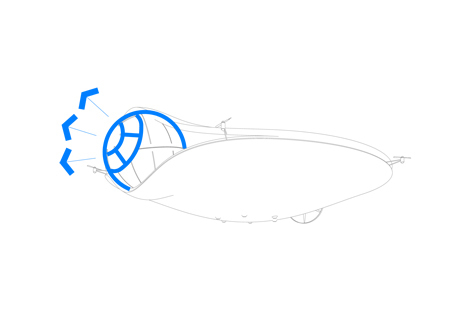 1.CYCLORANE: hybrid airship/ helicopter with longitudinal rotation. 3.HAA by Lockheed Martin: high altitude airship for USA Department of Defense (DOD). 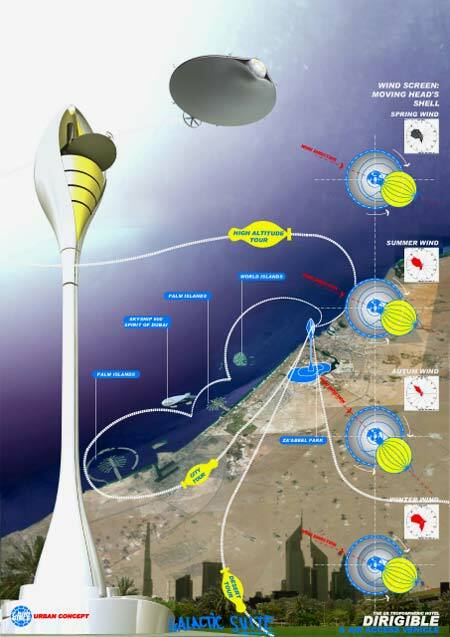 4.High Altitude Long Endurance by Lindstrand Technologies: high altitude airship for comnunications in EU. 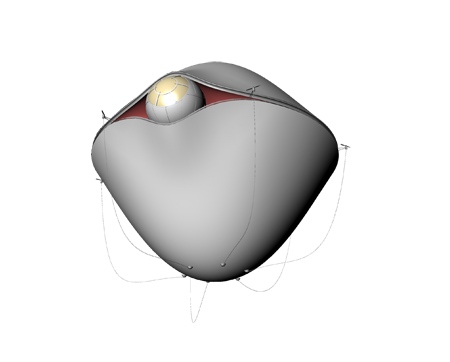 5.AEROSPHERE by Techsphere: a high altitude spherical blimp. Up to 6000m. 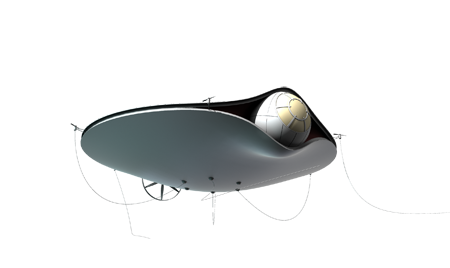 6.JP Aerospace: orbital airship for transportation to LEO. 7.P-791 by Lockheed Martin: an hybrid aerostatic/aerodyinamic. 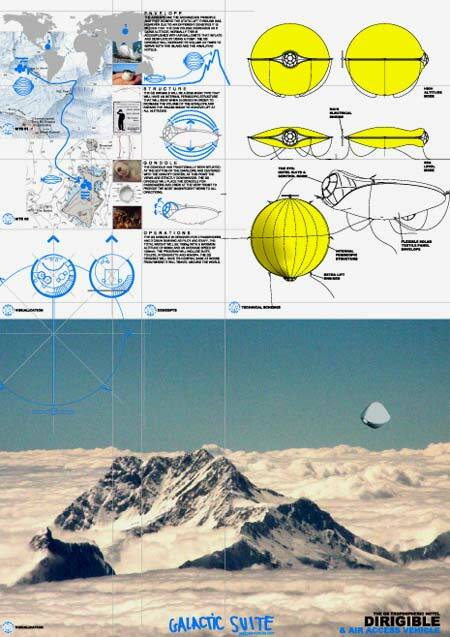 9.21st CENTURY AIRSHIPS Inc: develops a spherical airship for high altitude research and surveillance. 10.Au-30 by AUGUR-RosAerosystems: a heavy lift cargo model and high altitude airship. & Michael J.Bro: propose a flying spa. 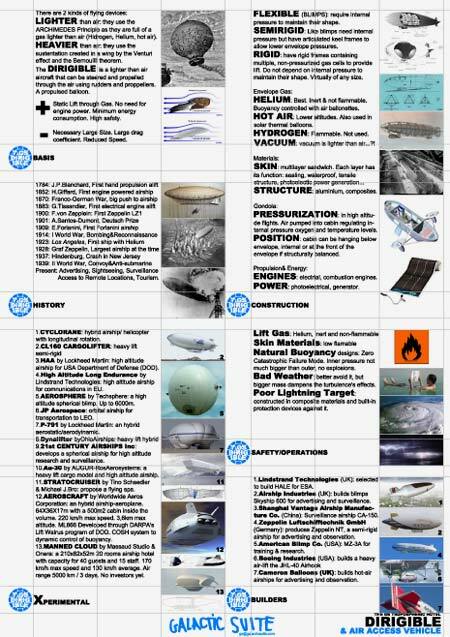 12.AEROSCRAFT by Worldwide Aeros Corporation: an hybrid airship-aeroplane. 64X36X17m with a 500m2 cabin inside the volume. 220 km/h max speed. 3,6km max altitude. ML866 Developed through DARPA’s Lift Walrus program of DOD. 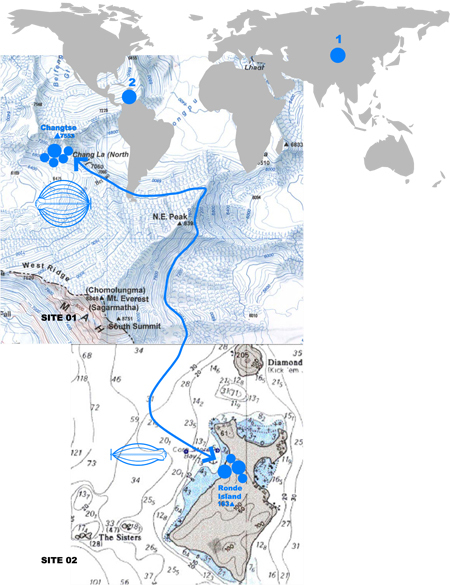 COSH system to dynamic control of buoyancy. 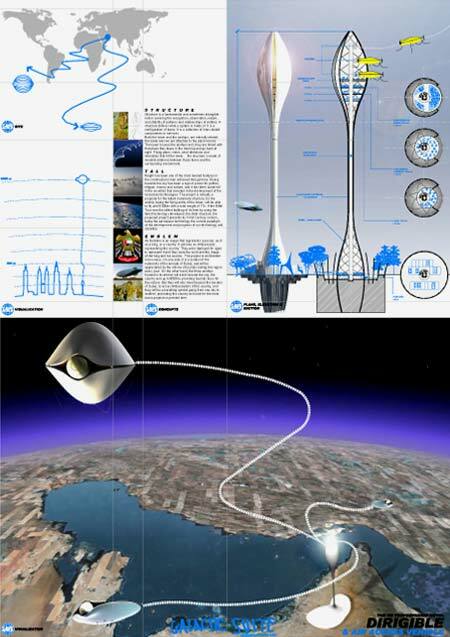 13.MANNED CLOUD by Massaud Studio & Onera: a 210x82x52m 20 rooms airship hotel with capacity for 40 guests and 15 staff. 170 km/h max speed and 130 km/h average. Air range 5000 km / 3 days. No investors yet. FLEXIBLE (BLIMPS): require internal pressure to maintain their shape. 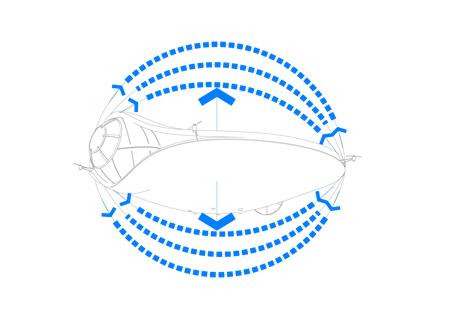 SEMIRIGID: Like blimps need internal pressure but have articulated keel frames to allow lower envelope pressures. RIGID: have rigid frames containing multiple, non-pressurized gas cells to provide lift. Do not depend on internal pressure to maintain their shape. Virtually of any size. HELIUM: Best. Inert & not flammable. Buoyancy controlled with air ballonettes. HOT AIR: Lower altitudes. Also used in solar thermal balloons. PRESSURIZATION: in high altitu- de flights. Air pumped into cabin regulating in- ternal pressure oxygen and temperature levels. POSITION: cabin can be hanging below envelope, internal or at the front of the envelope if structurally balanced. 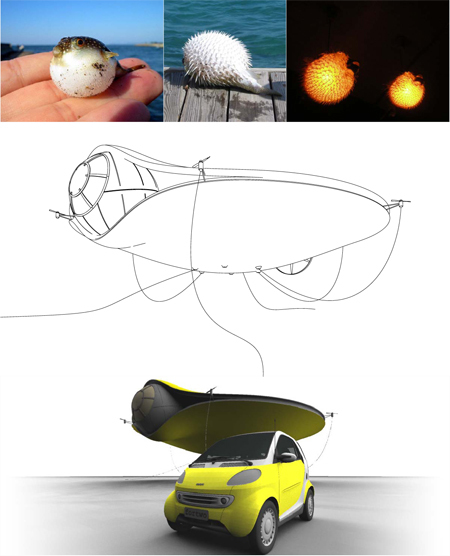 Natural Buoyancy designs: Zero Catastrophic Failure Mode. Inner pressure not much bigger than outer, no explosions. Bad Weather: better avoid it, but bigger mass dampens the turbulence’s effects. Poor Lightning Target: constructed in composite materials and built-in protection devices against it. 1.Lindstrand Technologies (UK): selected to build HALE for ESA. 2.Airship Industries (UK): builds blimps Skyship 600 for advertising and surveillance. 3.Shanghai Vantage Airship Manufac- ture Co. (China): Surveillance airship CA-150. 4.Zeppelin Luftschifftechnik GmbH (Germany): produces Zeppelin NT, a semi-rigid airship for advertising and observation. 5.American Blimp Co. (USA): MZ-3A for training & research. 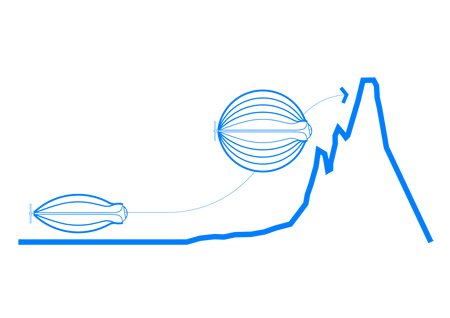 7.Cameron Balloons (UK): builds hot-air airships for advertising and observation.